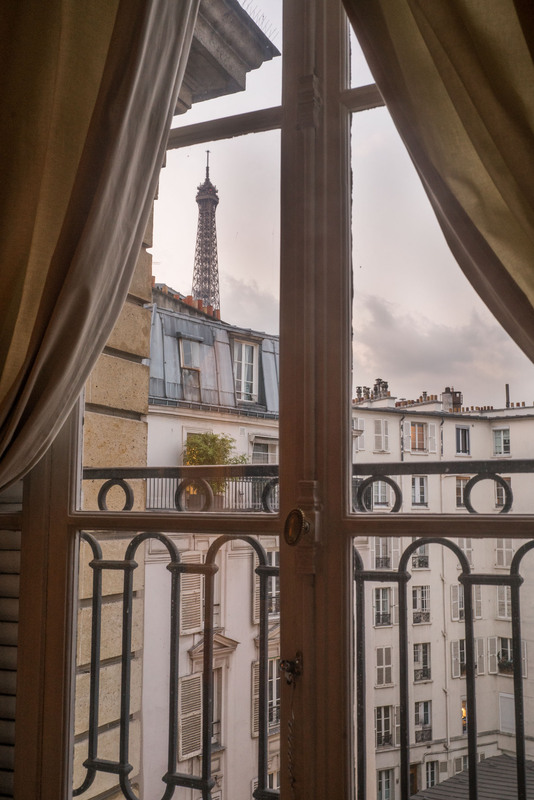 I feel fortunate enough to be able to say I have been to Paris more times than I can count and have navigated accommodations from hotels high and low, staying with friends and renting private apartments. 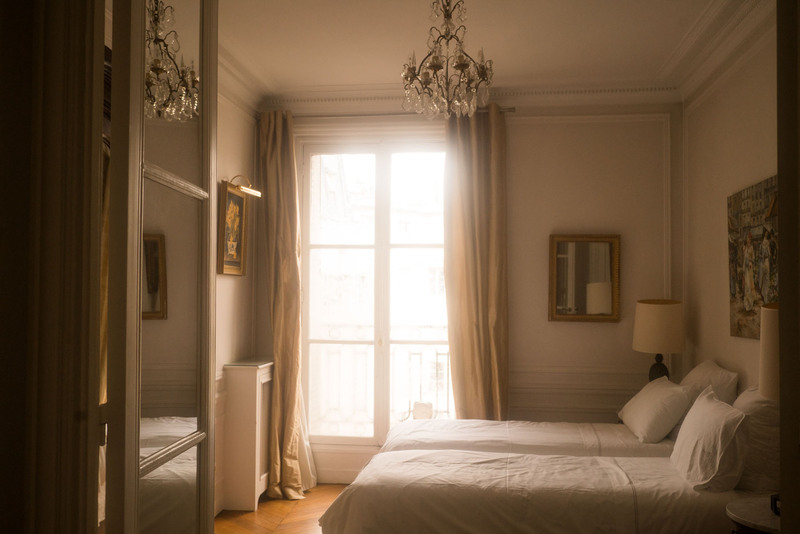 If you are planning a trip to Paris looking at hundreds of apartment rentals on AirBnB can be overwhelming and time consuming. 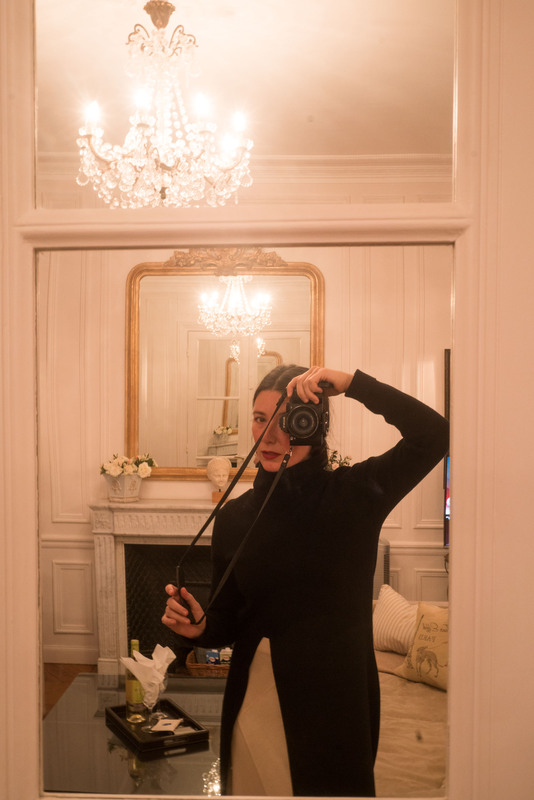 You also never know if it’s really going to look like the pictures or even who to expect will greet you. 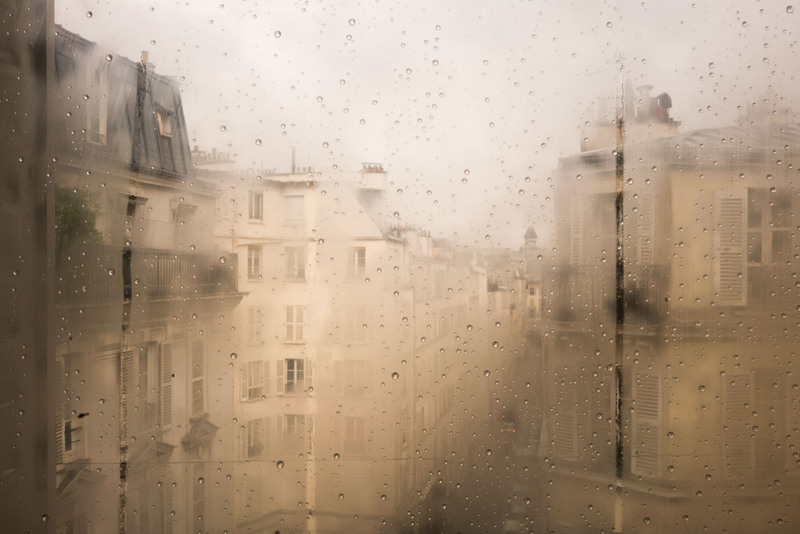 I’ve had great experiences that way and horrible ones. 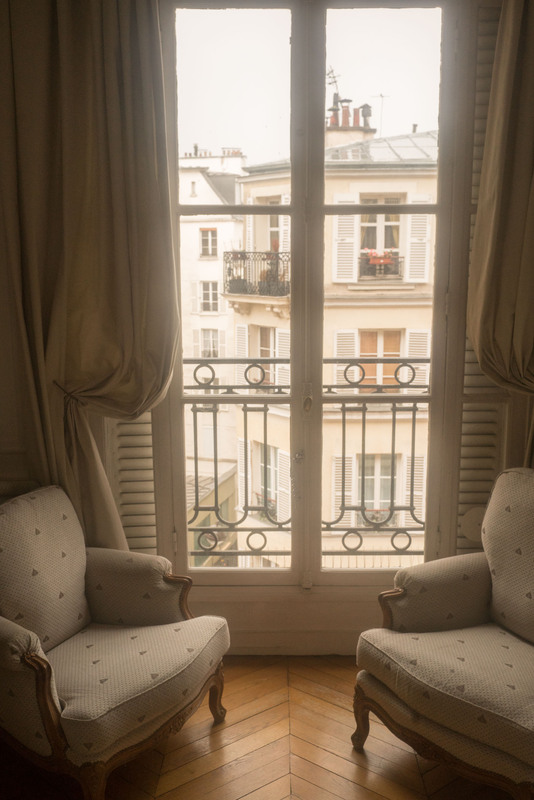 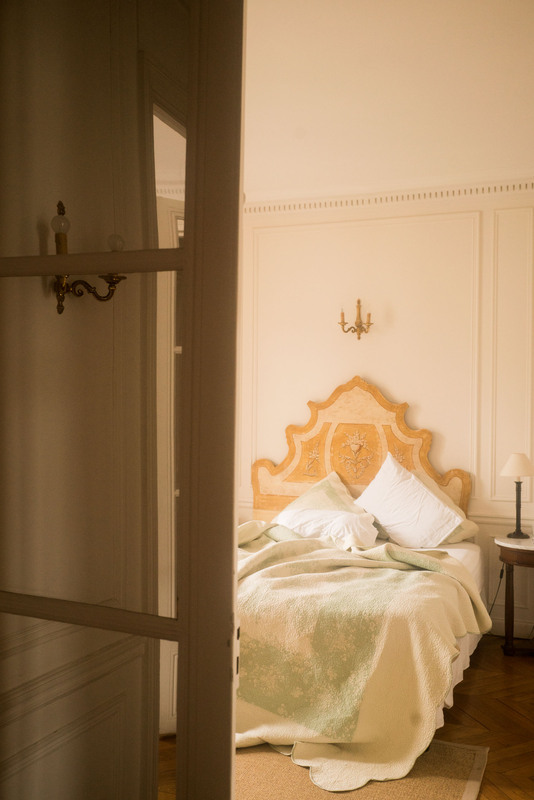 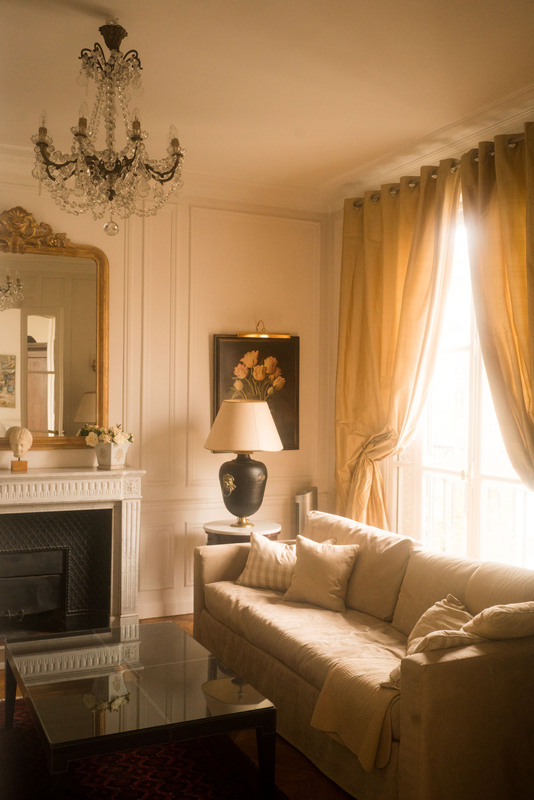 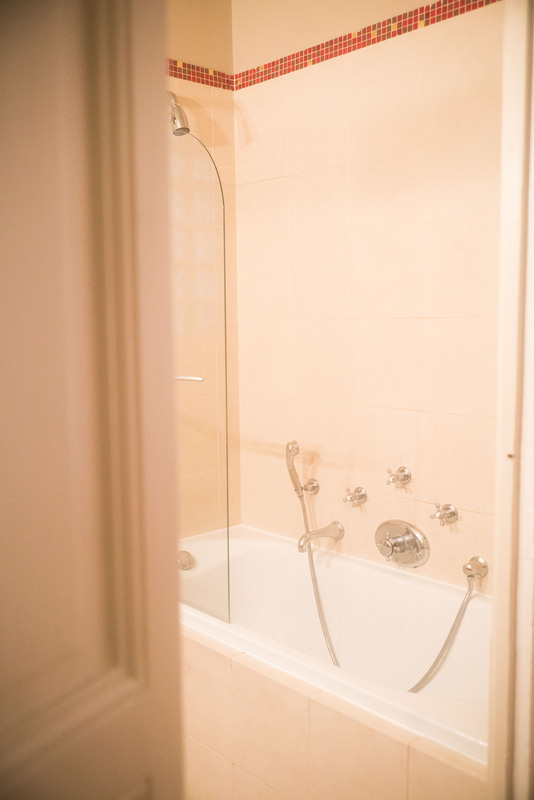 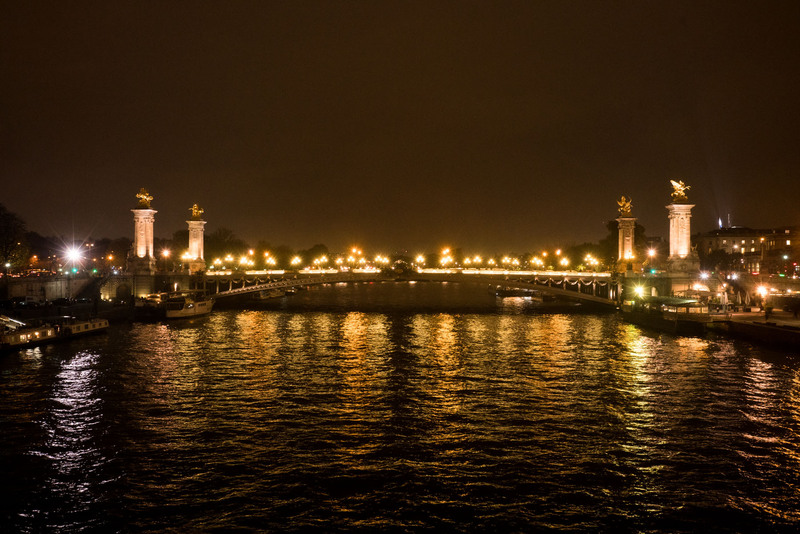 This time in Paris I used Paris Perfect, a short term vacation home rental site. 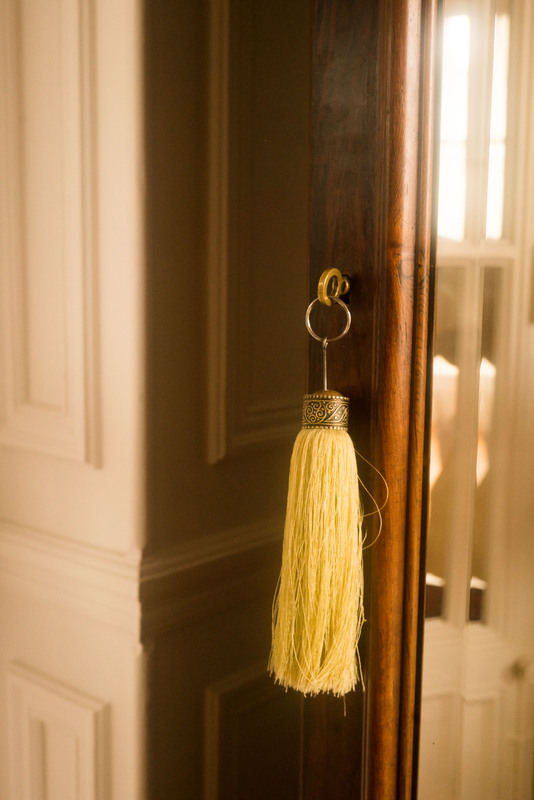 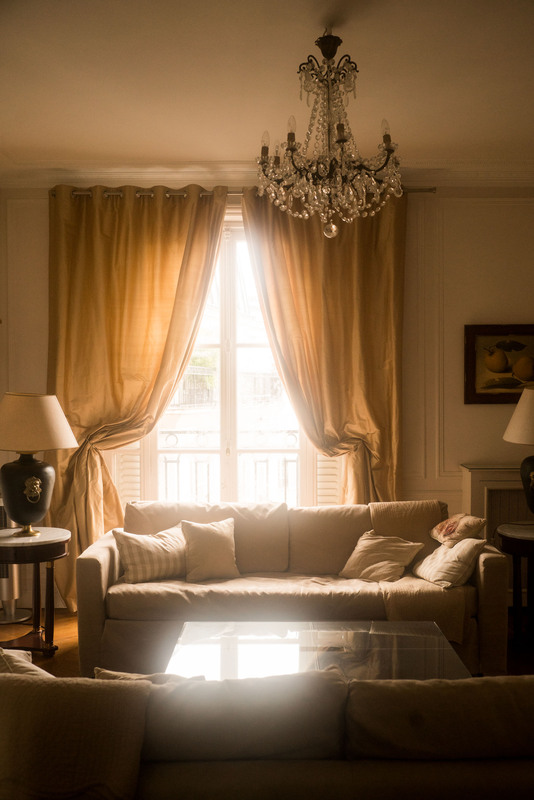 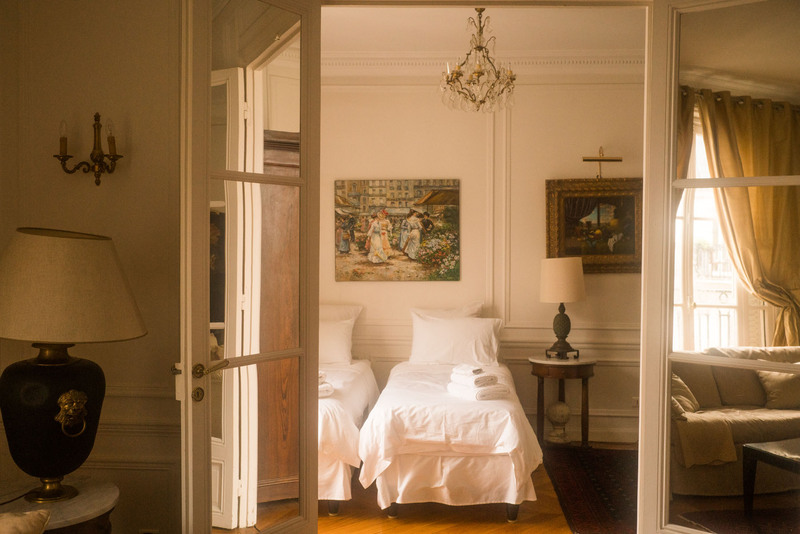 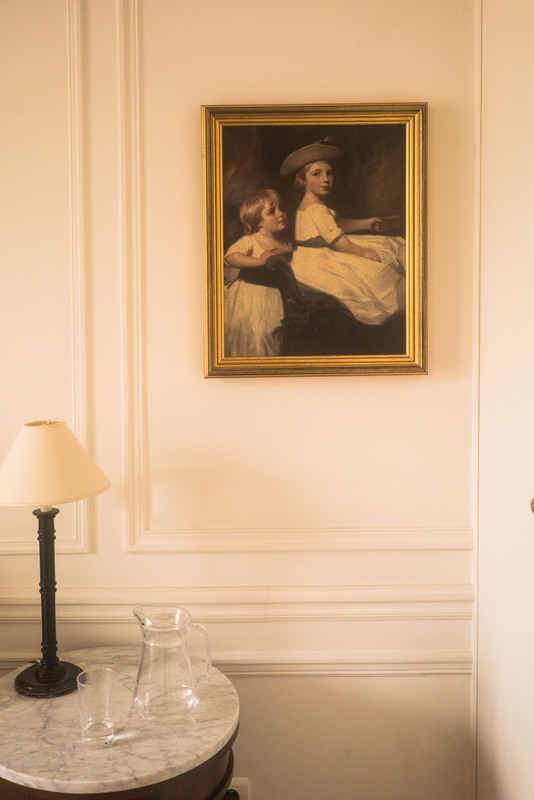 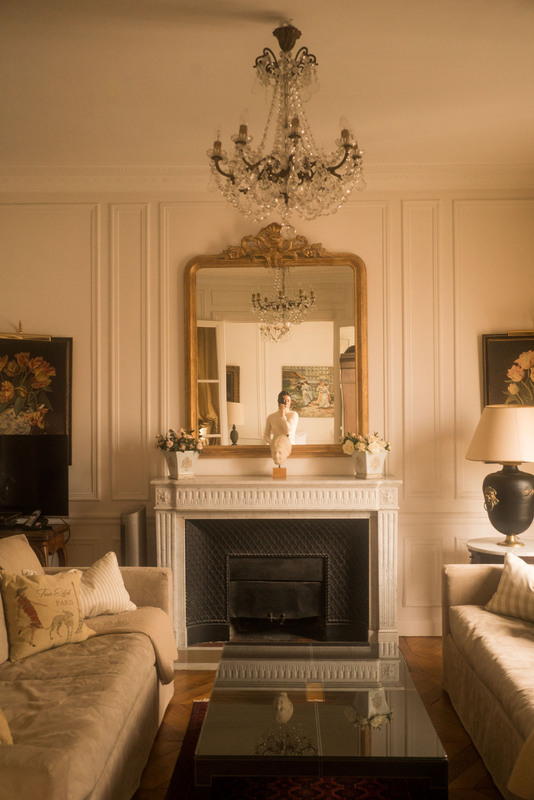 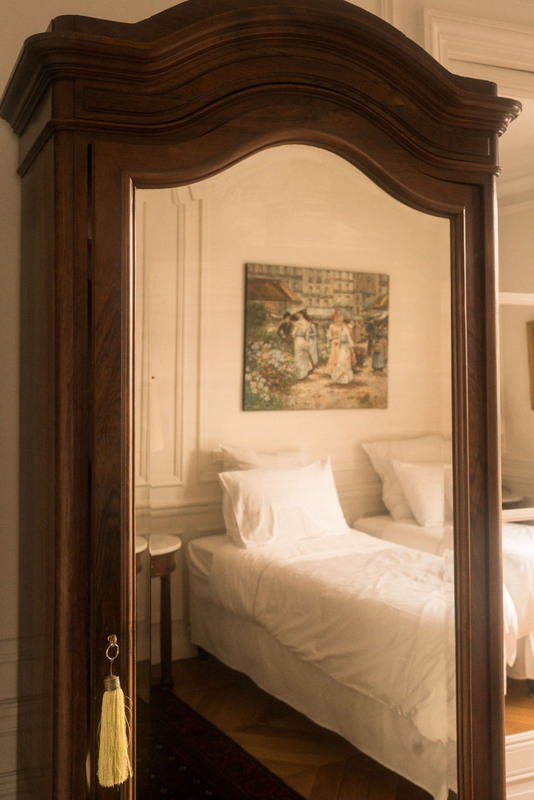 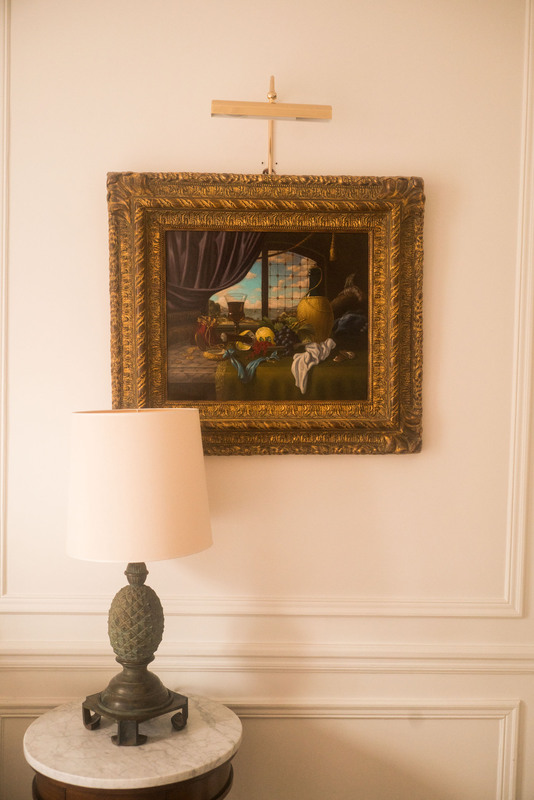 It’s curated to a standard quality with properties that have historical relevance to Paris and perfect locations married to modern day comforts (wifi, obviously). 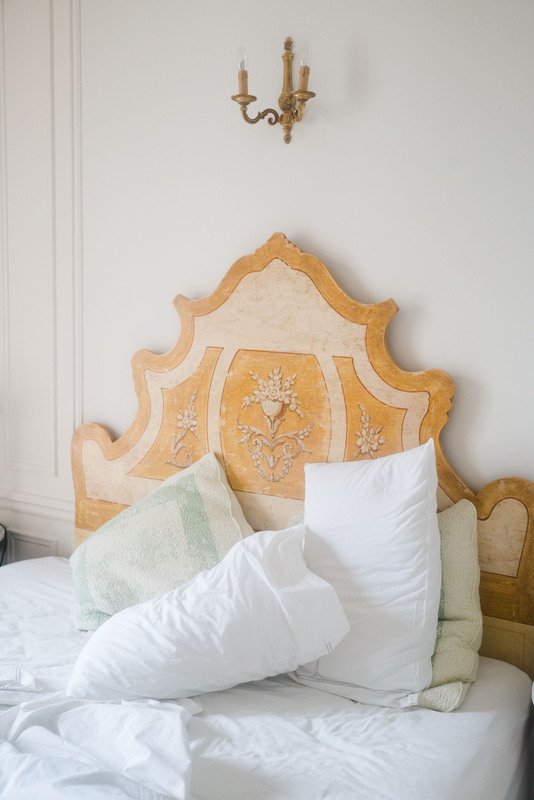 I say wifi obviously because I stayed in an AirBnB once that the owner hadn’t paid his internet bill and I had to track him down and ask him to do that so I could get online and work! 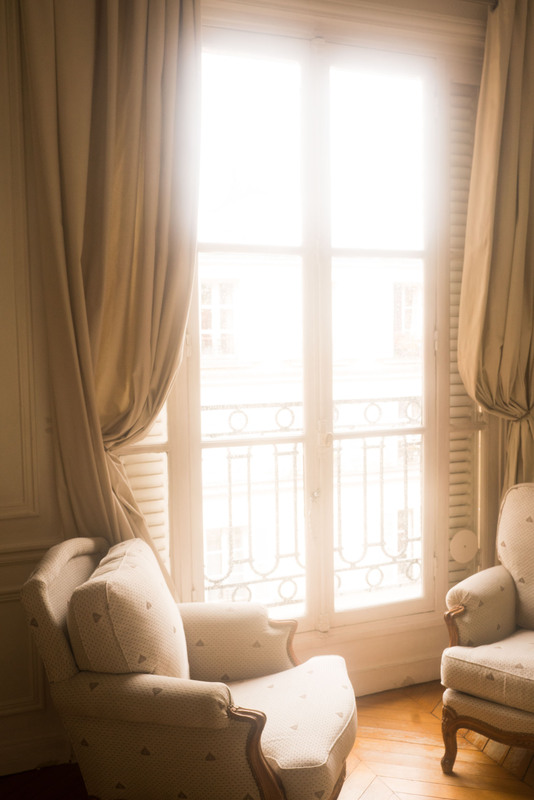 They have an English speaking office in Paris available for you 7 days a week should anything occur. 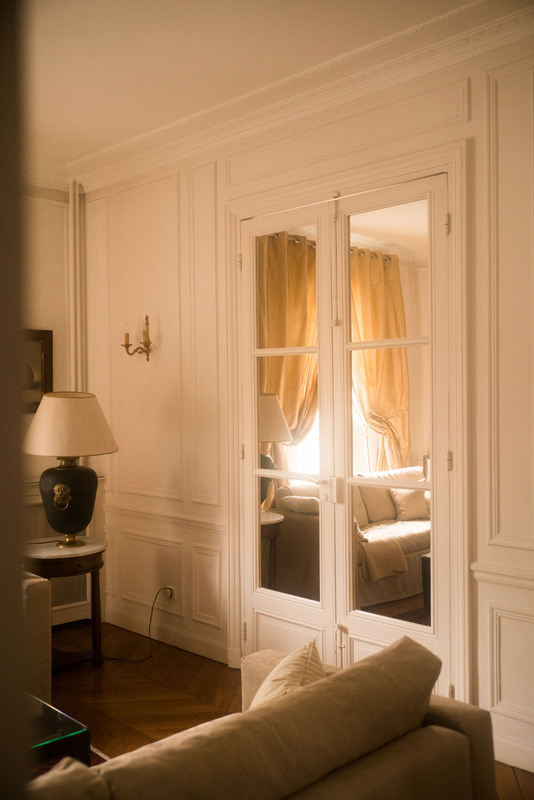 Check in was great and flexible and the apartment came with an amazing guide to the area from restaurants to museums to just cool streets to walk down. 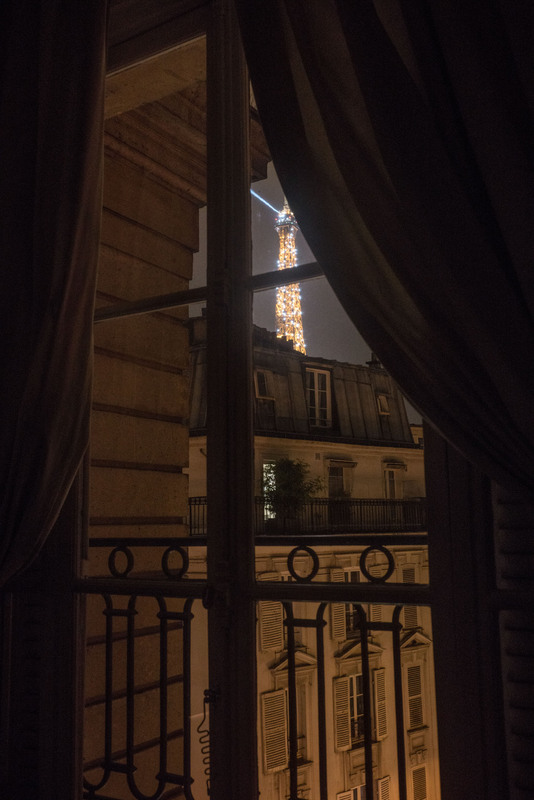 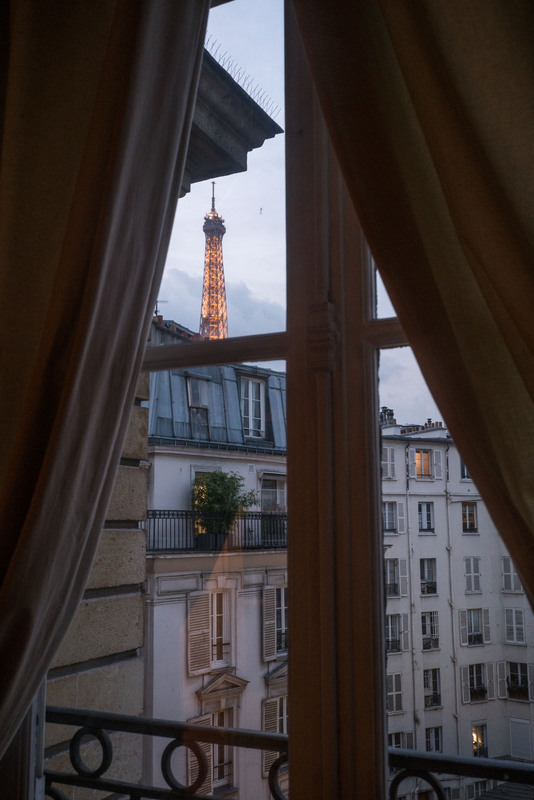 But really… it was all about experiencing that bourgeois view of the Eiffel Tower from bed. 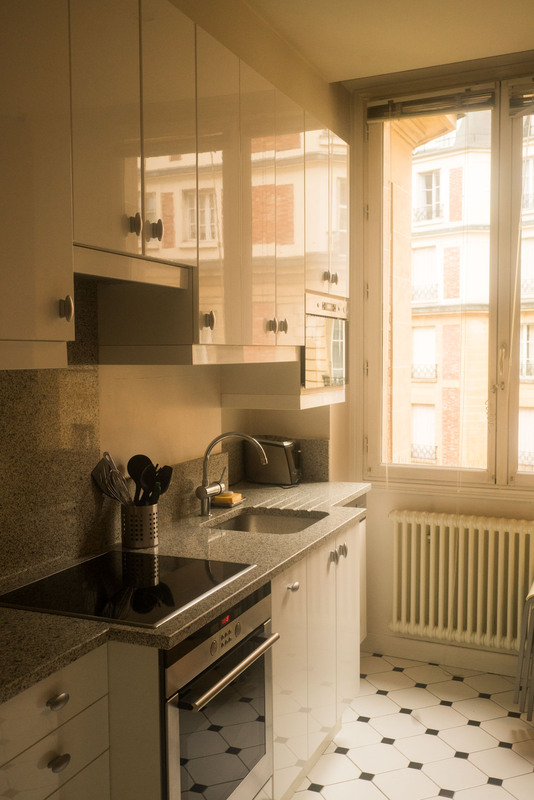 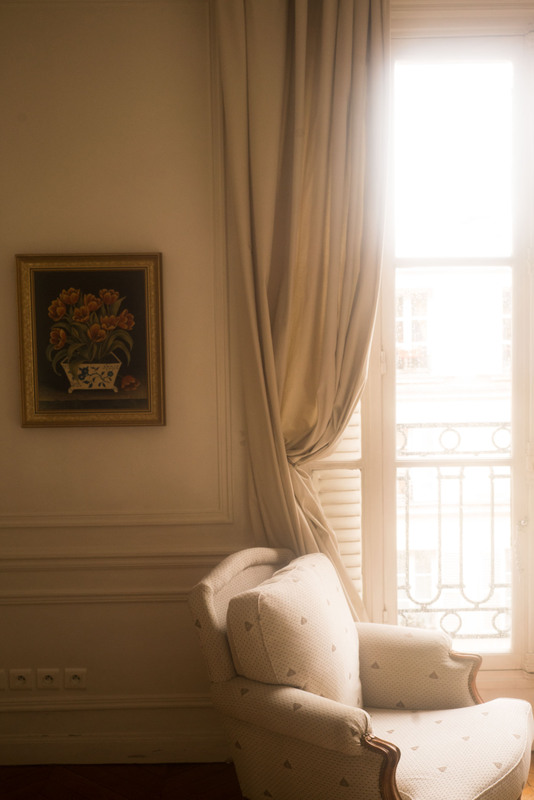 Other things to know – the company has been around for 20 years, each property listed has gone through a vetting process to makes sure it’s Paris Perfect standards, and they offer gourmet add ons like a private chef to come cook in the apartment, cooking lessons, and food tours of Paris. 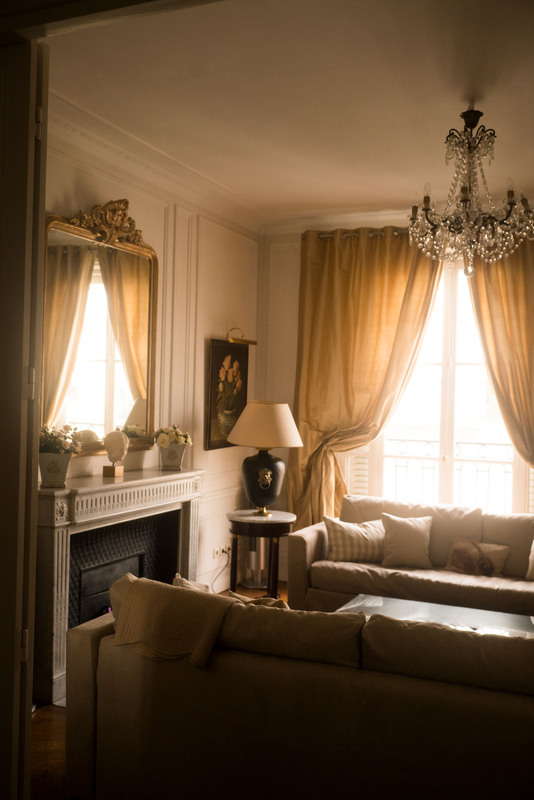 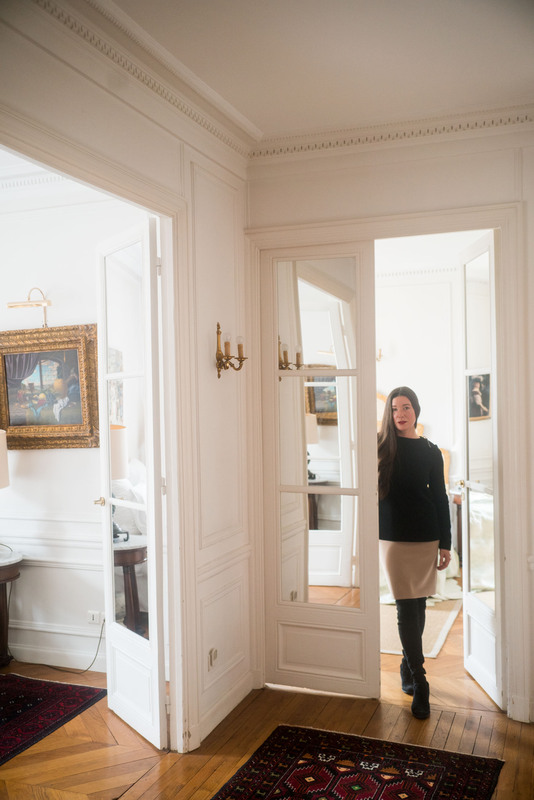 And, since Americans sometimes don’t realize this is a thing in France, the apartments they list come with air conditioning and elevator service, two things which are actually rare in private residences. 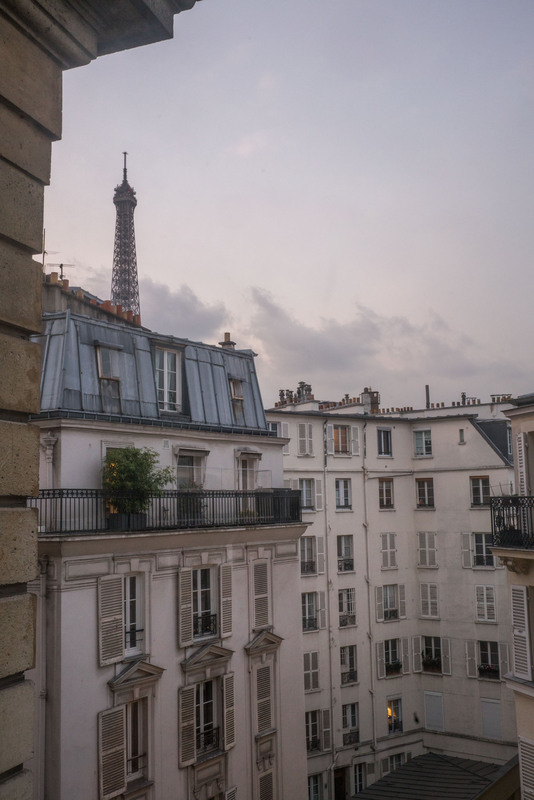 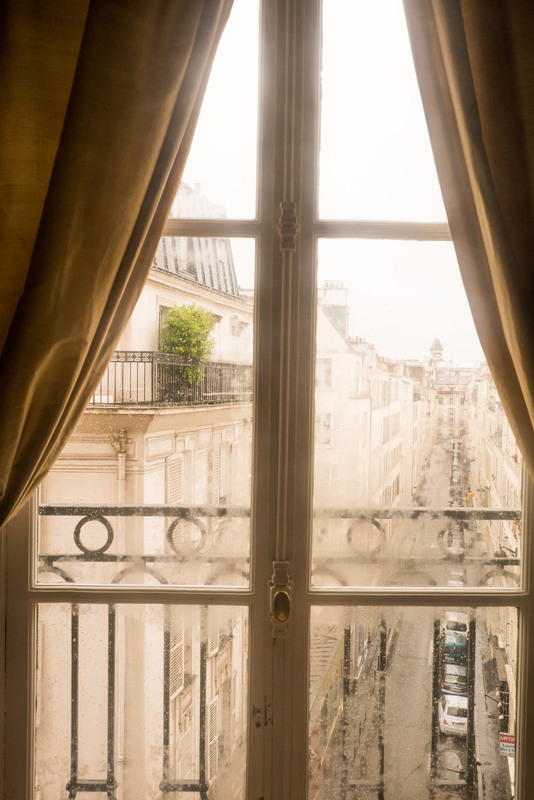 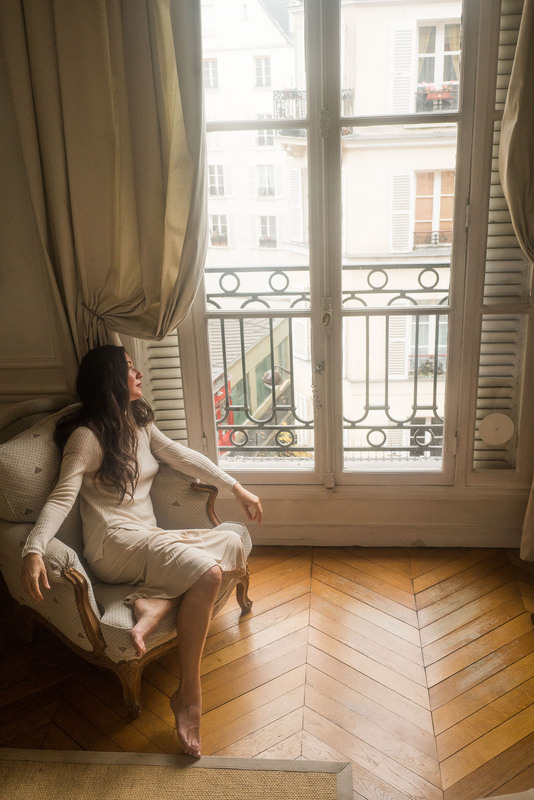 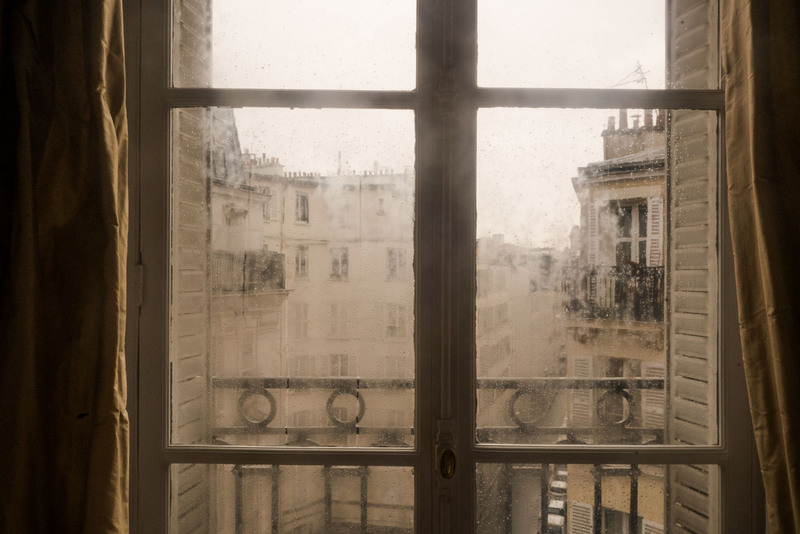 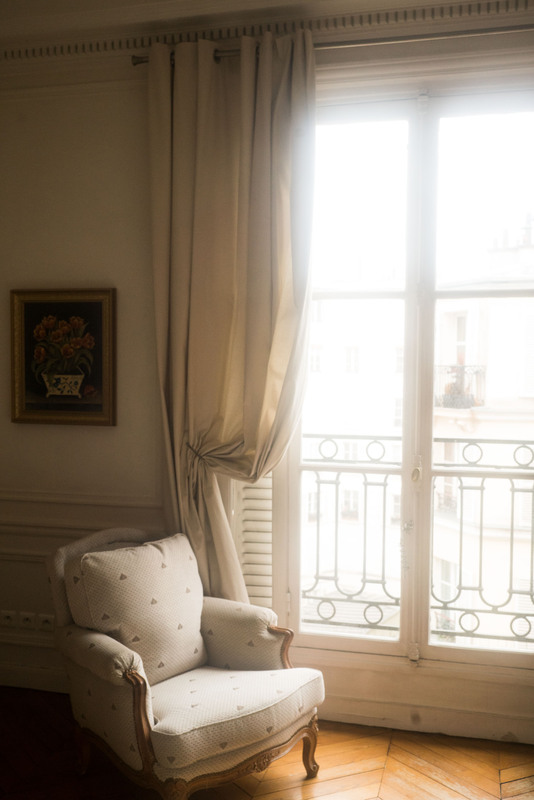 I have stayed in a 6th floor Parisian walk-up without A/C in summer… it was very “authentic”.